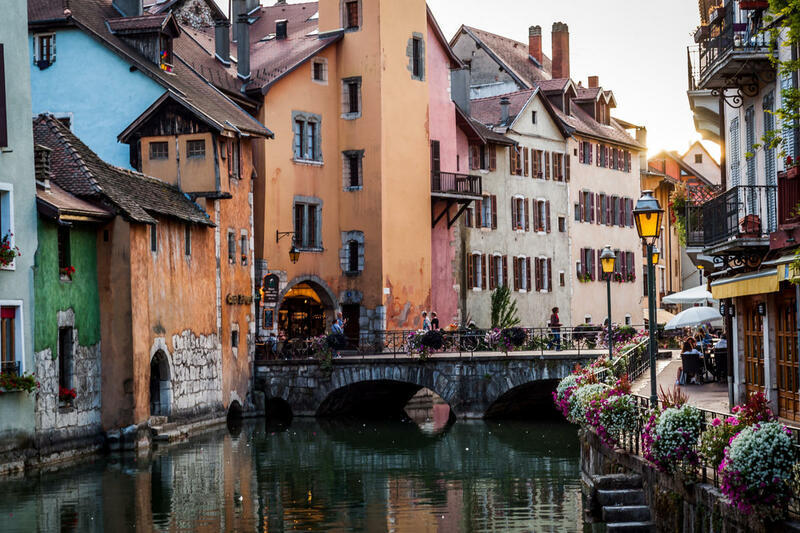 Annecy is described as the gateway to the Alps. Stand in the town and you have mountains on three sides of your view. 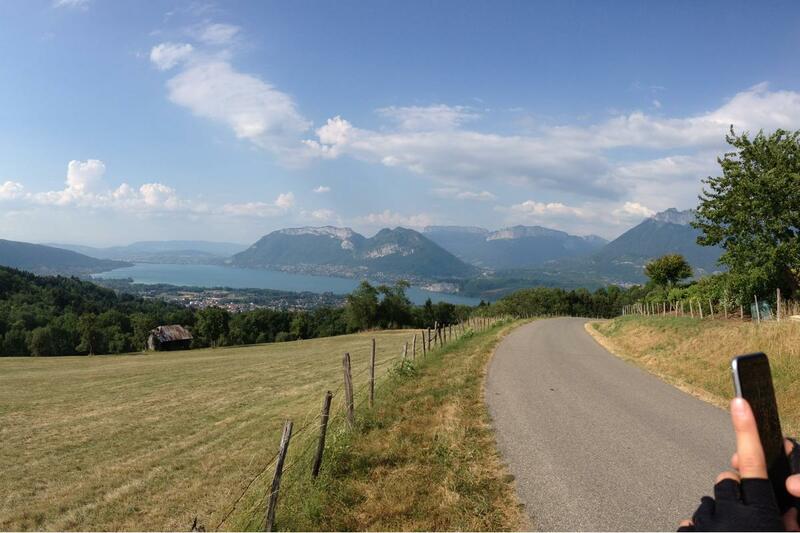 Cycling from Annecy is a great way to experience the Alps. 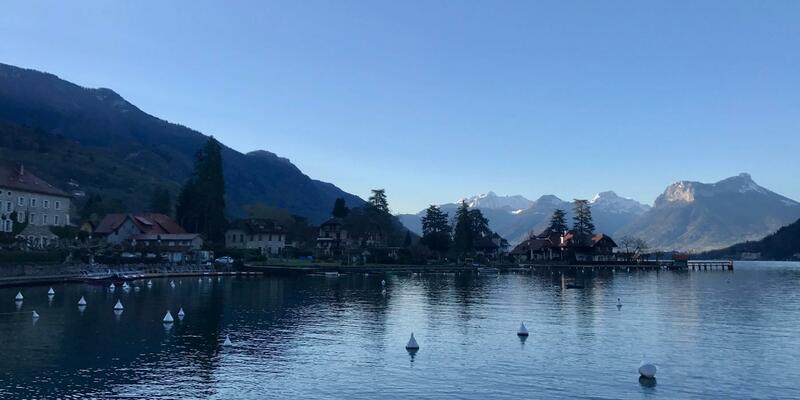 There are a huge variety of climbs and riding, from flat rides round the lake, to Tour de France Hors Categorie climbs, including Le Semnoz and the Col des Aravis. 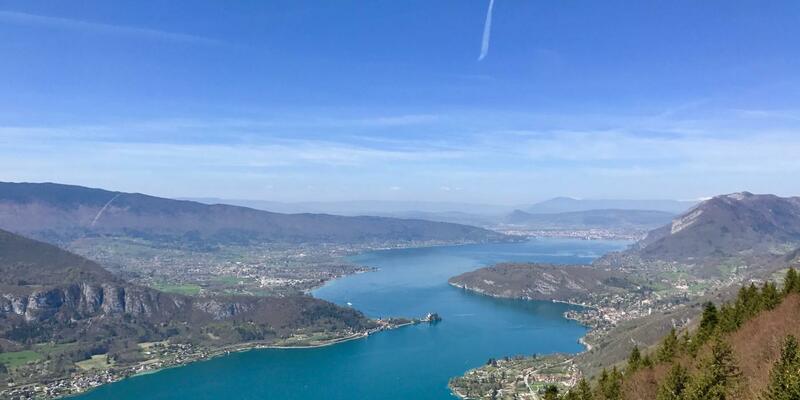 In this long weekend escape we plan to show you the best that Annecy provides and allow you to ride in the tyre tracks of Tour de France legends. After arriving at Geneva Airport, you will be met by one of our guides in the arrivals hall. Annecy is a short 45 minute transfer away. Here you will be reunited with your bike that will have been driven down for you. A couple of hours for a nice lunch, time to settle in and fettle your bike, and then we will test the legs with a ride to the famous the Col de Forclaz, an ever-steepening climb to a parapont launch site, with a great panoramic view of the lake (and importantly a coffee stop!). Col de Aravis Loop - This is a big day in the saddle based upon the 2013 Tour de France stage from Annecy. You start by taking in the Col de Forclaz, with over 2500m of elevation gain. A fast descent follows, and then jump on the cycle path all the way down the valley to Ugine. Here you swing left and begin climbing. Just when you think that the top must be in site, you plateau and then there is a final 8km climb to the top of the Col de Aravis. 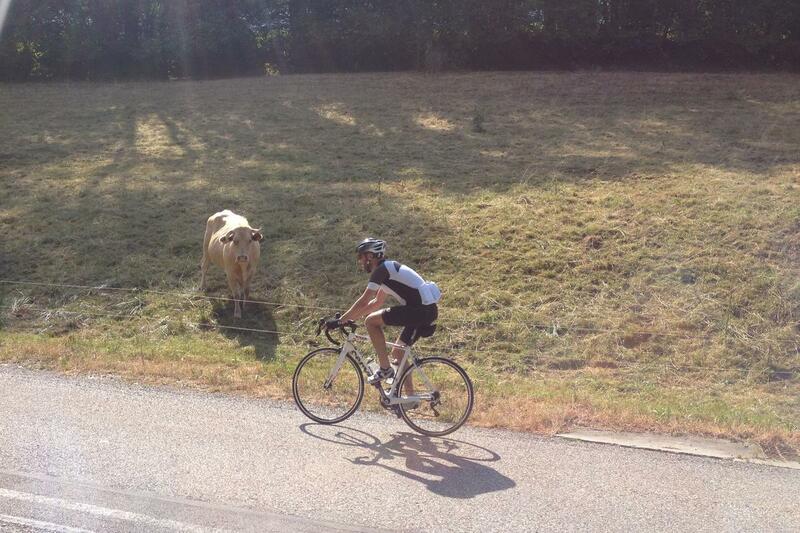 Grab a coke with the cows, before descending down a few kms, taking a sharp left and climbing to the top of the Col de Fry, before a monster descent to the valley and the valley road back to Annecy. 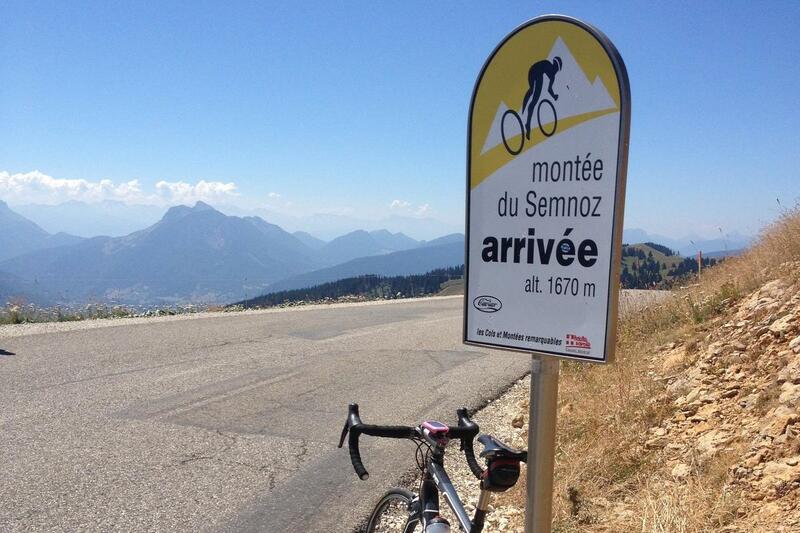 Today with take on the Montee de Semnoz. We start with a gentle roll around the lake on the cycle path, before swinging up to climb to the col de Leschaux. From here we take a series of tiny roads into the next valley and climb to Ailon -le-Jeune. Here we have two options, to head back down the opposite side of the valley and start the climb of Semnoz, or take in a further climb, the Col de le Revard and climb Semnoz from the harder side. The first option means your climb of Semnoz is a fairly stable 7% gradient to the climb for 9km, before the climb ramps up for the last 3km once you exit the woods and enter the ski-station area. A fast descent, down the spine of the mountain, back down to Annecy is your reward. Time for one last local ride and a coffee in Annecy, before your transfer to the airport. Depending on how the legs feel we will either attempt to climb the Col de Fry or do an easier ride to the Col de Leschaux. nb: itinerary subject to change depending on weather and other safety factors. Accommodation is in clean and comfortable 4-star bike-friendly hotels. Our standard prices are for single occupancy. Hotel to be confirmed. All your breakfasts, lunches, coffee stops and dinners are included in the price of the trip. Lunches will be provided each day in a cafe or will be picnic lunches provided by the guides when the weather is good. Evening meals are provided at your accommodation or in a nearby restaurant. We also supply fruit, biscuits, cake, nuts, etc in the support vehicle that you are welcome to have throughout the day as well as sports nutrition if required. Water and soft drinks will be in the support vehicle but any alcoholic drinks are not included and will have to be purchased individually. Each one of our Guided Road Cycling tours is supported by at least 1 qualified bike mechanic as well as 2 professional cycling guides to ride near the front and at the back of the group. The mechanic will drive the support vehicle that is on hand throughout the day.